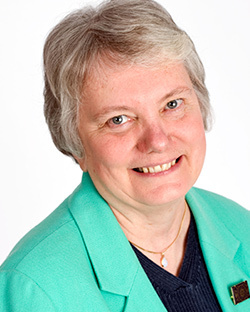 Professor Emerita Mary Jane Mossman joined the faculty at Osgoode Hall Law School in 1976-77, after several years as a faculty member in the Faculty of Law at the University of New South Wales. At Osgoode, she served as Associate Dean, Assistant Dean, Chair of Faculty Council, and Director of the Institute for Feminist Legal Studies, as well as numerous positions on Boards and committees at York University. Her research interests focus on women lawyers/legal professions; family law and economic dependency; property law and trusts; and access to justice and legal aid. She has authored numerous scholarly articles and reports for governments and other organizations, and has been a Visiting Professor at a number of universities in Canada, the United States, Australia, France and Japan. In 2006, she published The First Women Lawyers: A Comparative Study of Gender, Law and the Legal Professions (Hart Pub 2006); and is currently authoring a study of women lawyers in Ontario 1890s to 1960s, as well as other writing projects. Her co-authored books include Families and the Law (2nd Captus ed 2015); Property Law: Cases and Commentary (3rd ed Emond Pub 2014); and Reconsidering Knowledge: Feminism and the Academy (Fernwood 2012). Professor Mossman was awarded the Queen Elizabeth Diamond Jubilee Medal for work with the Vanier Institute of the Family (2012); the Lexpert Zenith Award: Leadership for Change (2012); appointment as “University Professor” at York U (2007); the Bora Laskin Fellowship in Human Rights (SSHRC 2007); the Ontario Government Leadership in Faculty Teaching Award (2007); an honorary doctorate by the Law Society of Upper Canada (2004); the Award of Excellence of the Canadian Association of Law Teachers (2004); the Medal of the Law Society of Upper Canada (1990); the Supporter of the Year award by the Advocacy Resource Centre for the Handicapped (1988); and the CBAO Distinguished Service Award (1987). She has received research grants from SSHRC and the Canadian Bar Association Foundation for Legal Research, and was appointed the Gordon Henderson Chair in Human Rights (University of Ottawa 1995) and the Walter L Gordon Fellowship (York University 2004). She was admitted as a Barrister in New South Wales in 1975 and a member of the Bar of Ontario in 1977; and served as junior counsel in an Australian appeal to the Privy Council in 1978. From 1979-1982, she was on leave from Osgoode as the first Clinic Funding Manager for the Ontario Legal Aid Plan, and she has provided ongoing support to community legal clinics, including serving on several clinic Boards. Since 1997, she has chaired the Administrative Committee of the Unifor/CAW Legal Services Plan. Education:BA (Hons) McGill, LLB Queen's, LLM London, LLD Law Society of Upper Canada, of the Bars of New South Wales and Ontario.